Students and faculty will present their research during the two-day event inside the Science, Technology and Math (STEM) Building. Organized by the Office of Research and Sponsored Programs, Research Days are ultimately an avenue for students to present their research. Moreover, it provides an outlet for creative work and opportunities to further augment students' research and presentation skills. Research Days furnish students with innovative experiences to compliment their academic ventures in the classroom. "Research Days provides students an opportunity to communicate the results of their research or creative work to a wide audience and to invite discussion and comments. Describing the project to someone else helps the student researcher learn to communicate ideas concisely and effectively," said Provost and Vice President for Academic Affairs Jeffrey Toney, Ph.D.
Research Day is a wonderful opportunity for students to showcase the research they have completed. Student presentations will take place on both days. Oral and poster presentations will fill much of the itinerary for the two-day event. Faculty presentations will also take place. For detailed locations and times, check the Research Days 2019 brochure. The keynote presentation will take place in the STEM Auditorium Wednesday, April 24 at 11:30 a.m. This year's keynote speaker is Paula Gaetano Adi, associate professor at the Rhode Island School of Design (RISD). According to the Office of Research and Sponsored Programs, Gaetano Adi is "best known for her speculative robotic sculptures and machines that explore the poetics and politics of technology by resisting the scientific conventions that dictate how to make, think, circulate, and operate technology." Research Days sets students and faculty members in a scene that is considerably conducive to further growth in all academic and professional aspects. Whether it's through networking or collaboration, students and faculty will develop tighter bonds that will lead to numerous opportunities in the future. Additionally, it will serve as a supplementary glimpse into the professional aspects of each students' respective majors. Research Days is an annual event that is cherished by those who have participated in it and those who have attended it to show their peers support. 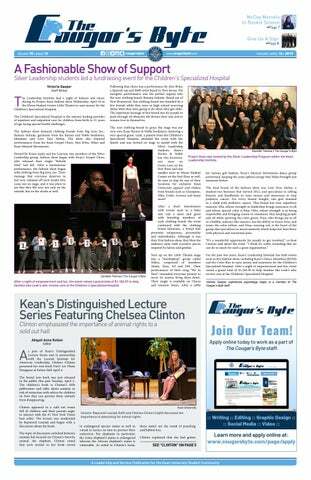 Below is a video from Kean University that both highlights last year's Research Days and demonstrates the importance of the event. "I encourage all students to attend, to experience the variety of research and creative projects that are happening on campus and, possibly, to be motivated to participate themselves," Toney said. "A great example is Isabel Morais, our Undergraduate Student Research Awardee. Isabel attended the 2018 Research Days keynote presentation and was intrigued by the description of brain-computer interface research. She collaborated with two other students and was funded for a year-long research project." "Engaging in research brings many benefits, including [sooner] graduation, admission into the finest graduate and professional programs, and...lots of fun," Toney said. 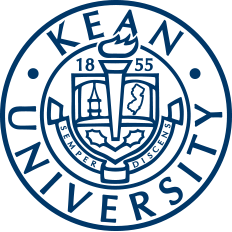 For more information on Research Days 2019, visit the web page on the Kean University website. For more information on the Office of Research and Sponsored Programs, visit its web page, call (908) 737-3461 or email orsp@kean.edu.